1. Practising everyday for 10 min is better than practising 2 hours in one go once every week. Regular practise, like regular exercise, trains your hands and your brain to get smooth, even results in your playing and technique. Gradually, (and much faster once you get going) your speed goes up and your technique improves, and so does the entire sound you get out of your cajon. 2. For technique, exercises and rudiments a metronome is essential. The metronome keeps your time… have a look at what a metronome is here in wikipedia if you are unfamiliar with it. Back to Techniques and rudiments, you should try to incorporate these into your daily practise. Playing and learning new grooves is important but having a good technique will improve every single groove you play, it defines your sound and your precision as a cajon player. It gives you freedom to play relaxed and comfortably, and ability in order to learn much faster. 3. A dopt a good posture when you play, this starts at home, when you are alone practising, thats where you must be aware of your posture and movements. Having a mirror for practising is an excellent way to keep eye on your posture. You should seriously not slouch if you intend to have a long and fruitful relationship with the cajon…learn from the beginning how to sit up and find the right relaxed position. Check out my posture and basic sounds vid for more on this subject. 4. Having the right practise environment is important. If possible (not essential), get a solitary place/room to practise in every day. Having the room without any distractions is a good idea if you feel a bit demotivated to practise… nevertheless, if you have passion and determination, you can make any environment work for you! 5. Let’s face it, cajones are noisy, and we love them like that, but not everyone else likes to hear cajonero’s /a’s rudiments everyday. Noise can many times be an issue as to why we sometimes don’t practise regularly at home. To dampen the cajon, you can place some foam inside on the floor of the cajon, or for a much more drastic dampening, you can stuff the inside of your cajon with towels, and even cover the outside frontboard of the cajon with a towel, so you end up playing on the towel instead of the wood. 5. If you practise over and hour, take a break every 45min or so just to refresh your mind, and your position. It is known that (even though this varies a lot from person to person) your concentration starts going down after about 45 min, so take a small break to get sharp in your brain again, get some fresh air etc. This improves and helps your posture. Stand up and stretch upwards and outwards, take a few steps, then you’re good to practise some more. 6. Drinking water throughout your practising never hurts, it really keeps your muscles moist and your concentration tip top, not to mention it’s pretty good for you! 7. After doing excesices and technique, play along to some music that already features cajon, and learn some of the fills and grooves that the cajon player plays in the songs. You can play along as well, this is great practise! 8. Be creative, many times once you have worked out a daily practise routine, it can become stagnant, leave some of your practising time free to just be creative and have fun, just trying spontaneous things. It’s great to be serious, but if your technique training makes you forget how to have fun just playing, you missed it! One really great thing to do in this time is building up opn some more percussions and co-ordination, using different drums with your cajon, or trying a pattern with your foot while you play a groove. Or invest in a cymbal or hi hat and incorporate it into your playing! 9. Take a break! If you have played a lot for everyday for 10 consecutive days, take 1 day off from playing if you can, or as soon as possible, or take 2 -3 days off playing if you’ve played a whole 2 months non stop. This is what we call a reset, it gives you a break, so when you return from playing, your mind is fresh and has some new idea, plus, after those breaks is when you see how much you have improved! 10. Be positive. Your thoughts is what affects EVERYTHING in your life! So this would of course apply to your musical endeavours too. Be positive. Forget about comparing, forget about other people and what they are doing, forget about all that rubbish, and be busy with who you want to be. Thats all you need to be! 🙂 When you practise, be excited, and if you need to, join a few fellow musicians or percussionists and meet up once a week or fortnight and jam, or go and see some live music, anything that really inspires you and makes you wanna play more! Thank you for the practice tips! I’ve recently started playing the Cajon and am really enjoying it. Your a great inspiration and I like your style of playing very much. is your learn to play DVD still in the works and if so when is it being released? I’ve been a drummer all my life ’n Cajon-ing is new. And not easy. Your site makes it easier. Can’t thank you enough from Singapore. Thank you for the email and pointers on practicing. I truly want to master the Cajon and want the process to be productive and fun. 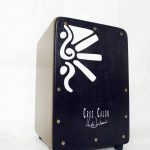 Hopefully in a few months I can upgrade my Cajon. I like those I have seen on your site. I live in Asheville, NC area and don’t see many people playing the Cajon. I really would love to get your DVD to practice and learn as much as I can. how can i get the lessons’ DVD if it’s avaliable ! And can i receive it in Egypt ? There are some great metronome apps that will run on your cell phone, and they are free! Hi Heidi, taking advantage of this tips, I have a concern and I would like you give me an advice about it. 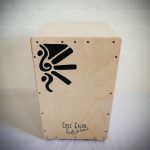 What kind of cymbals to play with cajon, do you adviced me? I was searching on internet about it and I saw some recommendations as Sabian El Sabor picante hand crash 16″ or 18″, but I saw a couple of recommendations too about using a Sabian Splash, what would you recommended me? You couldn’t have asked this question at a better time, I have filmed an entire video of about 18 min running thru my cymbals I use and the ups and downs and giving some demonstrations of their sounds, it has taken a while to edit also because I have been way too busy with my band (Fernando’s Kitchen) new Album and our albmlaunch, arranging, editing, mising, recording, directing the other musicians…. 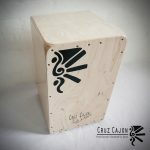 not to mention my cajon school and cruz cajons, but it’s almost done and I hopeto have it up on youtube next week! It will really give you some great help on the “what cymbal do I get” question!!! 🙂 Sign up to my newsletter to be sure to get it emailed to you as soon as it’s up! Hi Heidi, actually I’m signed up, I will wait for that video. This is a very true comment, old is simply a state of mind! You can do anything at any given moment of your life if you really want! Awesome and helpful as always, Thanks!